Thousands of people suffering from wars, why wouldn't they just STOP! Okay, so here I go now telling you what I think about the war in Israel and the Gaza Strip. Some of my fellow bloggers would not probably discuss this on their site because they’re like 1.) Don’t know much about it or 2.) There are other things to worry about that war in this world… I dare now since I’ve been itching to speak about it since I’ve heard it over CNN. The Gaza Strip, tanks are already going through towns! Now, with that horrible experience from terrorists you should wonder what I would feel about this WHOLE WAR between Israel and the Palestinians in Gaza. First of all, I hate terrorists because of obvious reasons. Hamas has been launching 30-40 rockets into Israel these past few weeks before these whole ruckus began. The Palestinian authority has a few people working with this group and some who only purely work for the people and the government. They say they are a different entity in the beginning but they never denied that some of them are from Hamas. They were all part of the fight before as we all know. If we want to point an accusing finger WHO IS TO BLAME for this war, it’s a HEADLESS chicken and egg hunt! These factions have been fighting since B.C. and A.D and the 21st century for crying out loud! Now it’s blowing out of proportion because you know both sides could not be handled by the so called super powers of the world and the UN. Palestinian Authorities were blaming Israel for killing women and children…making them hungry and isolating them. Israel on the other hand blamed Hamas for launching an unending barrage of rockets to southern cities so they have ongoing operations and plans to stop Hamas permanently. Israel was looking like sitting ducks there for a while since they did not do anything in earlier attacks of the same nature. Hamas in this case was just doing too much. Israel had to defend itself and its people from the terrorists. If the Palestinian authorities could not do anything about their own internal arrangements with these groups that some even call heroes at their homes, then Israel had to go fight them back to make sure their people are safe. The same case would be done here; we need to also get rid of our own terrorists to eliminate this problem. When do you think this would stop though? 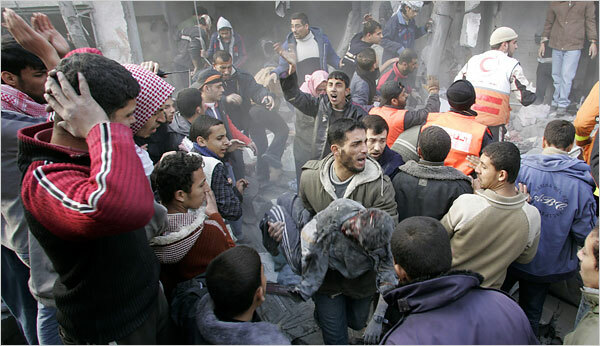 Israel is also hurting civilians but they are treating them as “needed casualties” for their own concerns. Who is right or wrong in this case? Who is to blame for the hundreds and thousands of people dying and suffering? Something has got to be done because it is just not enough to ask them to stop fighting. You need to weigh both sides before you can put an end to this. First, Palestinian Authorities must take control of their own territory and Hamas. Police their own borders first and stop whatever radical Hamas militants are doing to hurt people in Israel. Then Israel, after making sure that Hamas would stop what they are doing, should also stop their military offensive. They already have their own marked territories, the only thing both sides should do is work the land they are in and get on improving the lives of their people. Israel is getting alienated in that part of the world not just because they are “Christians and Jewish people” but because they are Israelis. Look at the countries around them… they are all super powers too if you ask me. This is just unending, what do you think both sides should do to stop this war and keep it from escalating? Comments are welcome! So go ahead and click the comment box! This is just my opinion, I need to hear what you think. Indonesian loves peace but more for freedom, as UUD 1945 (basic law). Shout 'FREEDOM' for Palestine from Israel anexation, occupation and invasion. I hope the war ends soon. Many innocent people die for nothing.